Thank you Decoy for sponsoring this post. Complete your own tablescapes with Decoy this holiday season. 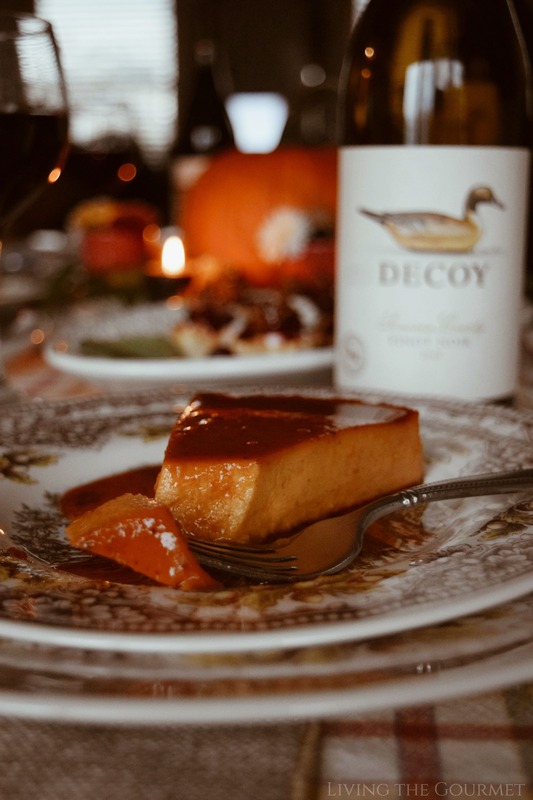 We’re celebrating Thanksgiving a little differently today by upping the ante with a delicate tablescape featuring mini goat cheese bites, pumpkin ravioli in an orange and sage sauce, then finishing it off with a melt-in-your-mouth Caramel Pumpkin Flan. Sometimes what we perceive as ‘perfect’ is simply what we have become ‘accustomed’ to, or what we regard subconsciously as ‘pleasant enough.’ Add on fond memories, a touch of ‘good old times syndrome,’ and suddenly the ‘strife’ or ‘unpleasantness’ of coming up with something new and better simply doesn’t appear to be worth the trouble. The adage “Why fix what isn’t broken?” comes to mind. Now, why am I talking about this? Because I myself had brush with ‘change’ recently, and the ‘change’ involved what I had considered to be my ‘perfect’ ravioli recipe. To begin, my standard ravioli recipe is, of course, my mother’s, and has more fond memories attached to it than I can possibly recount. Growing up, we had two types of ravioli, sweet and spicy, both of which were basically the same batch of ingredients, but with one having a dash of sugar and orange zest, and the other a generous helping of red pepper and, if we were feeling particularly adventurous, some diced friggitello with the seeds left in. Nevertheless, the base recipe remained the same, and is the one that I have, invariably, prepared over the years. These ‘perfect’ ravioli could be served at virtually any large family gathering, but especially during the holidays. Naturally, when we were coming up with today’s Thanksgiving spread, my daughter suggested that we do something a little different for the holiday, and her idea was to use ravioli as the centerpiece of the starter spread. My initial reaction was something along the lines of “Are you nuts? That isn’t Thanksgiving!” But the more I thought about it, the more it made sense…in a blissfully nonsensical way. It’s unconventional, but it can work – so why not try? Make a well in the middle of the flour and crack your eggs into the center. Add olive oil and whisk carefully with a fork. As you incorporate the flour, gradually add water one spoonful at a time until a soft dough comes together. Note you may need to add more water and that is fine. Form the dough into a disk and rub a little oil over it. Wrap in clingfilm and set aside to rest while preparing the pumpkin filling. In the bowl of your food processor, combine all the ingredients for the pumpkin filling and blend until smooth and creamy. Divide your ravioli dough into quarters, and then in half. Shape each piece of divided dough into a ball. NOTE: as you work one dough, make sure to keep the others covered in the oiled clingfilm to keep the dough from drying. Roll out the dough onto a well-floured surface until about 1/8-inch thick. You should be able to see your hands through it. Using a ravioli cutter or pasta wheel, slive your dough into squares about 1.5 inches. If you want your ravioli a little larger, you can cut them to fit your preference. Drop about 1/4 pumpkin filling into the center of each square then fold over and cover. Press the edges of each ravioli then pinch with a fork to ensure they are sealed. Transfer your ravioli to a lightly floured baking tray. Once you are finished, bring a large pot of well-salted water to a boil. Drop in your ravioli and wait until they float to the top. Once they are done, carefully transfer them to a plate. For the sauce, simply melt the butter with the oil. Add in the walnuts, salt, and pepper. As the butter begins to bubble and brown add in the sage leaves and orange rind. Then give your ravioli a quick fry until they get a little golden, about 2 minutes each side. However, she had another surprise in store for me – changing my ‘perfect’ ravioli recipe to something nigh unrecognizable. 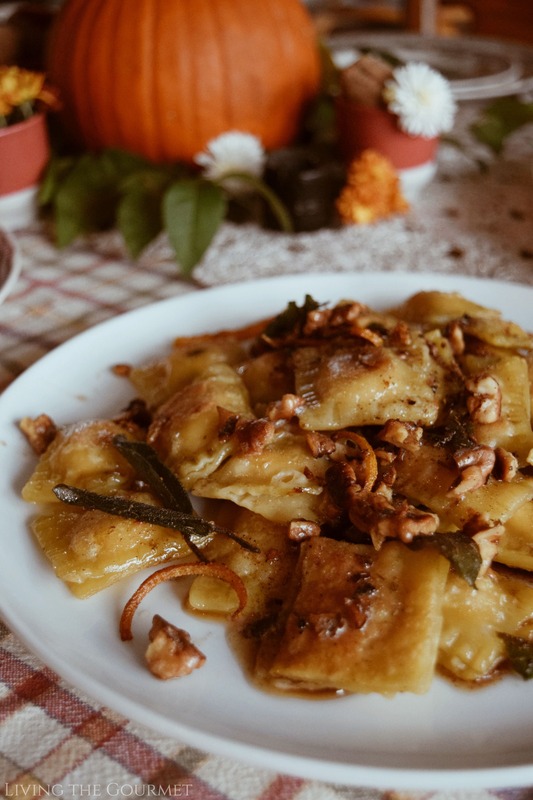 We would, instead, be preparing ‘Thanksgiving Themed’ ravioli, and that brings us to today’s core recipe ‘Pumpkin Ravioli,’ prepared with an Orange and Sage Sauce. To keep the Fall and Thanksgiving theme going, we would surround them with Goat Cheese and Cranberry Filo Bites, and end off with a Caramel Pumpkin Flan, to create a Thanksgiving starter spread that’s equal parts elegance and approachability, while being tasteful and also classic in its flavors, but ‘different’ and ‘refreshing’ in its interpretation of those flavors. 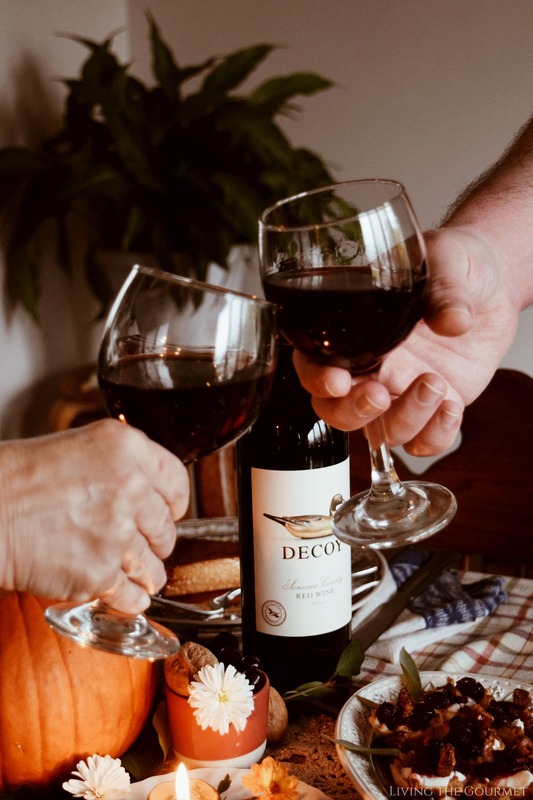 Naturally, this ‘Perfectly Autumn’ spread almost demands that you find your perfect wine pairing, and a particular label came to mind almost immediately, and if you’re a regular here you’ll likely recognize them from last month’s Beef Bourgeon – Decoy by Duckhorn. 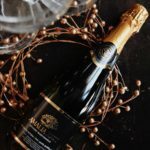 As I’ve said many times before in my wine reviews and pairings, the ‘perfect pairing’ is one that elevates and complements the occasion and the meal, rather than overpower or dominate it, and that’s precisely what we’re looking to do here today. 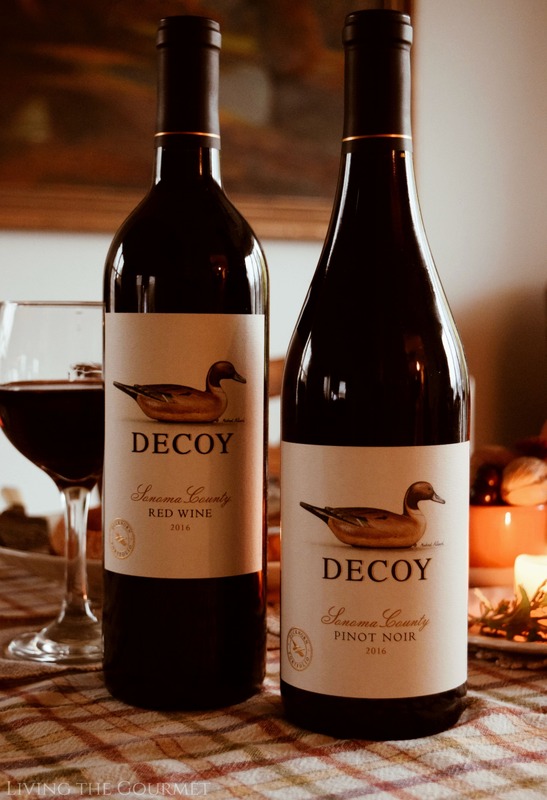 First up, we have a 2016 Decoy Sonoma County Red Wine, which is a merlot led blend of zinfandel, cabernet sauvignon, petite sirah, and petit verdot. The wine introduces itself with toasted oak dominated aromatics laced with blackberry and cherry essences, with hints of cassis deeper into the glass. On the palate, the profile is a patchwork of ripe dark fruits, laced in spiced caramel, which are carried on lush tannins, ending off on a pleasantly textured, lasting finish. For pairing, the phrase that came to mind on sampling this was ‘easy drinking’ – even though I honestly hate that phrase, but it nevertheless is an apt description. 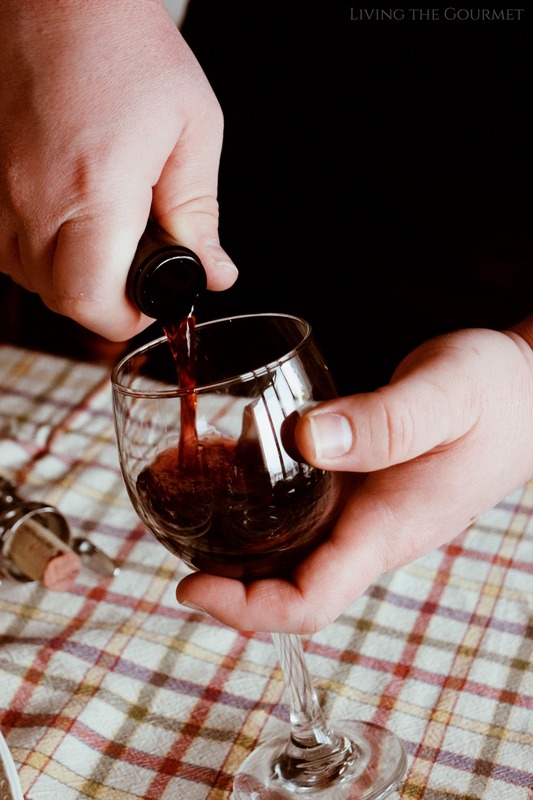 Herbal notes will excellently complement the oak notes in the wine’s aromatics, while deep, savory, and substantial dishes will pair well with the dark fruit flavors off the palate. In other words, think herbed roasts, pasta entrees, or even a decent burger. Today’s fried ravioli plated with a sage and butter sauce, play to each of the wine’s strengths in turn, and makes for a natural pairing. Next up, we have a 2016 Pinot Noir. 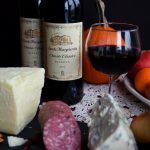 The wine greets with currant and ripe cherry essences, set against a backdrop of what I’ll describe either as earthy dried leaves or antique cedar. It’s a surprisingly, and pleasantly, clashing aromatic profile. On the palate, blackberry and red fruit essences dominate, tempered by a notable acidity, and a very pleasantly textured finish. 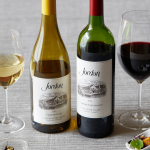 While the textbook pinot noir pairings, such as braised duck, fatty fish or salmon, or game fowl would serve excellently, I personally think that this particular bottle is all but pleading to paired with savory, substantial starters – simply because of how ‘accessible’ or ‘easy’ this particular wine feels and tastes on drinking. Cured meats, caponata on crusty bread and savory phyllo pastries would be heightened immensely by this wine. Naturally, that makes today’s phyllo bites, in my opinion, a go-to starter to pair with this wine. Place cranberries, orange slices, water and sugar in a saucepan; cover and bring to a boil for a minute or two; uncover and let sit to thicken. In a food processor place the goat cheese, cream cheese, sage leaves, salt, black pepper and heavy cream and process to a smooth and creamy consistency. Fill each fillo cup with a teaspoon of the goat cheese mixture. 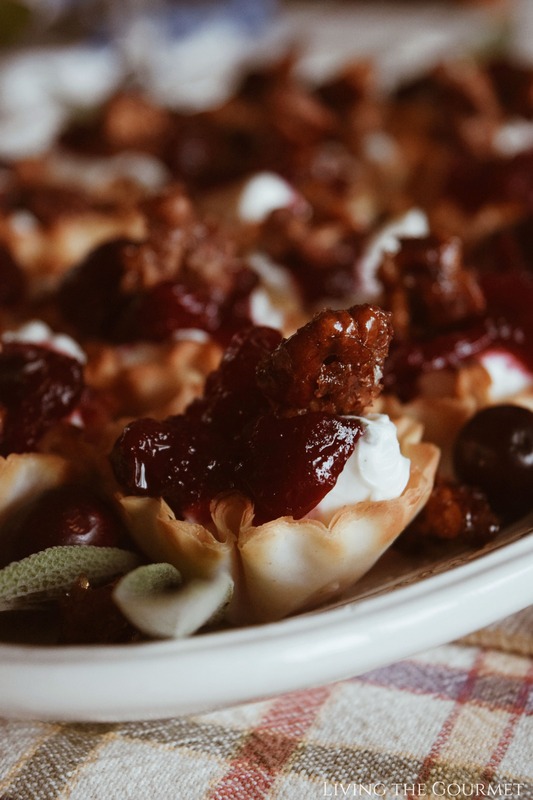 Top with a small dollop of fresh cranberry sauce and place a candied pecan on top. We end the evening off with a creamy, melt-in-your-mouth flan, only with a seasonal twist- Caramel Pumpkin Flan. It’s light but just sweet enough with a golden caramel sauce soaked into it. Bringing all the flavors of the holiday together one last time. Preheat oven to 350 degrees F. and butter a 9-inch cake pan and set aside. In a small saucepan, melt down the sugar until it liquefies into a deep, golden caramel. NOTE: as your sugar begins to melt, brush the sides of the saucepan with a little water to ensure the sugar doesn’t crystalize. 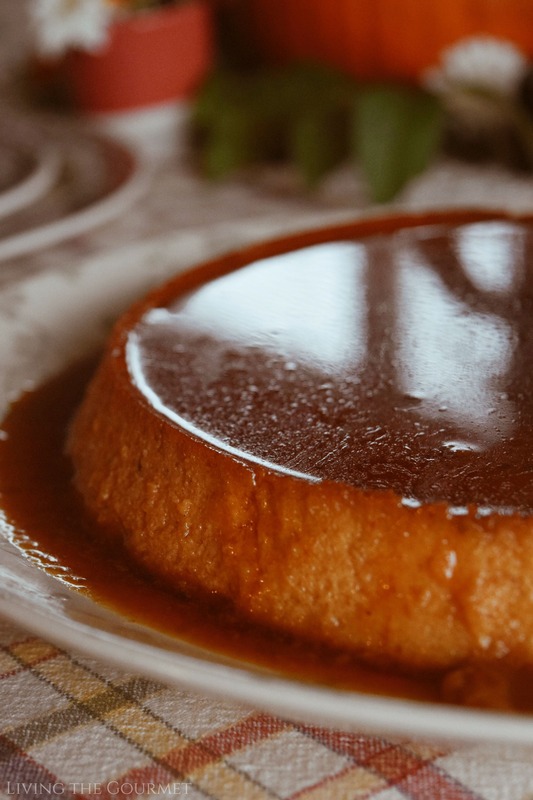 Pour the caramel sauce into the prepared cake pan and set aside again while you prepare the flan. In the bowl of your food processor, combine pumpkin, evaporated milk, condensed milk, and spices. Pour the filling into the prepared cake pan over the caramel (which should have hardened by now). You’re going to bake your flan in a water bath. To do so, place the cake pan in a glass baking pan and fill with water until it’s halfway up the sides. Carefully transfer to a preheated oven and let bake for about 1 hour until the top of the flan is golden and it has just about set. Remove from the water bath and transfer to a wire rack. Let it cool to room temperature before transferring over to a cake plate. Once the flan has cooled, carefully loosen the sides with a think sharp knife. Place your cake plate over the pan and in one swift movement, flip over onto the cake plate. The flan should release easily and the caramel will have liquified again, settling on top of the flan. And that, my friends, is our Thanksgiving starter spread. 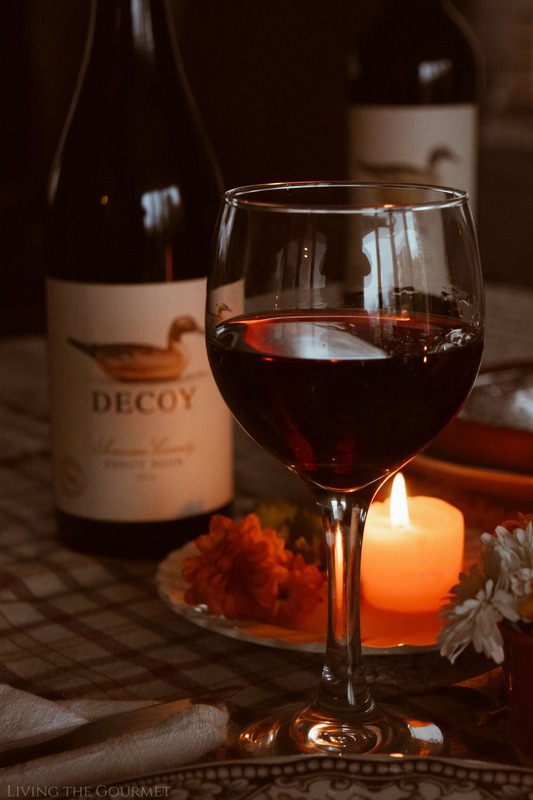 Once again, I was very, very pleased with what I sampled from Decoy by Duckhorn, and if you’re looking for accessibly priced, delicious wine to heighten your Thanksgiving, I can wholeheartedly recommend that you give them a try. Good wine makes everything better, and some of the best wine is Decoy. It always has such a great flavor. what a great fall meal, I would love to be sitting at this table right now and try them. Everything looks marvelous! Have a blessed Thanksgiving to you and your family! You sold me on the wine! 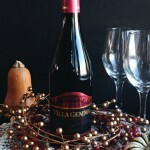 I am a huge lover of wine, and I usually go for white, but now I am craving a good red wine. 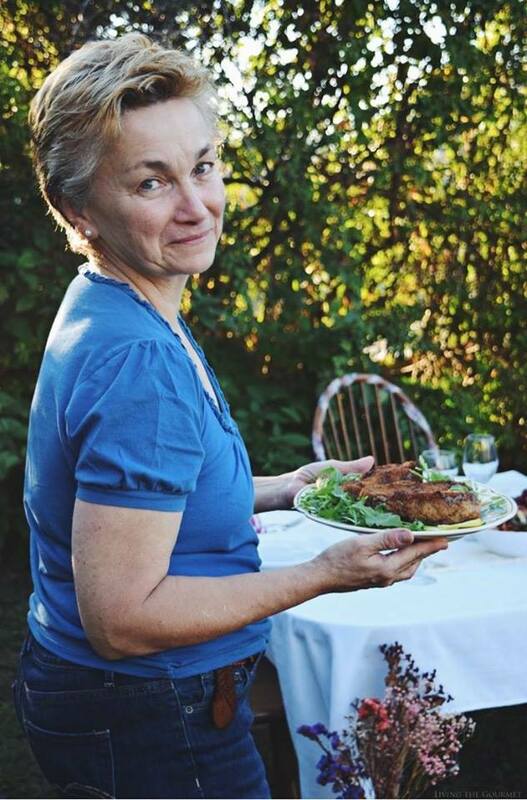 Thank you for sharing this, and all those amazing recipes! Thank you so so much for the awesome post. The pictures made me sooo hungry, will definitely try to cook some of these stuff over the weekend. Thank you! I would like to try all your recipes on Thanksgiving Day. Oh, they look unsurpassed. And of course I also like wine, perfect for a festive table. This would be an amazing Thanksgiving meal! 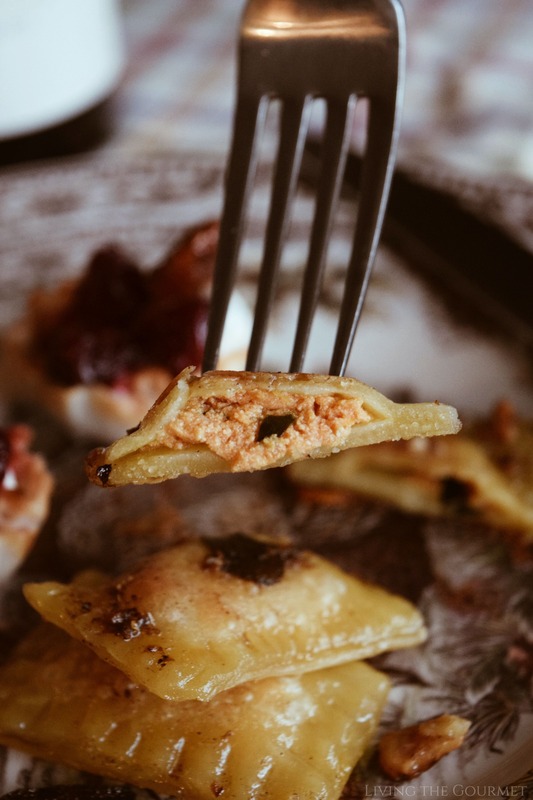 I love the ravioli and the cranberry goat cheese Filo bites - everything sounds so good! This looks really lovely. 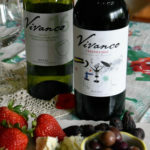 There's nothing better than a lovely meal with the family and the wine looks like the perfect accompaniment! Wine makes the meal for me! 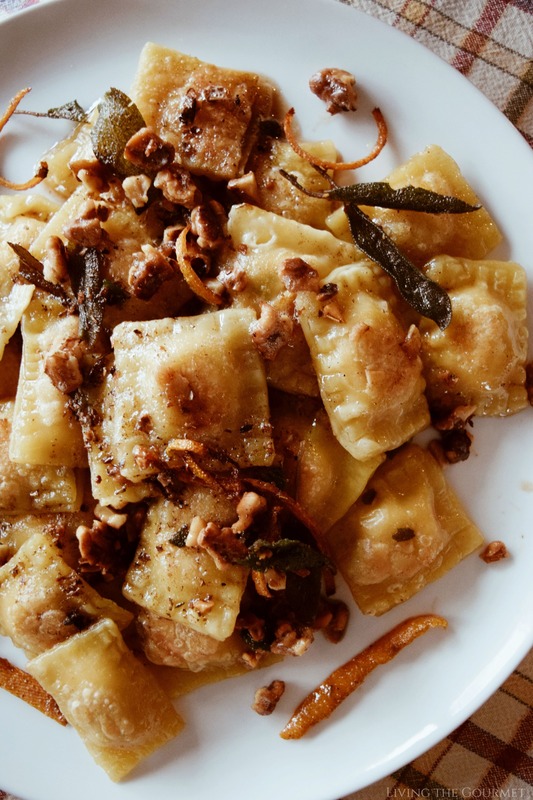 The ravioli sounds wonderful, and I love the addition of the walnuts to the sauce to give another texture. I love how caramel is added into this recipe as caremel is always my number 1 favorite. I have sweet tooth. Going to try this out for coming gathering. Sage is the perfect accompaniment to the pumpkin ravioli, and the orange I bet makes it so much brighter!! Love the wine pairing, too! The pinot noir sounds like a great accompanying wine! 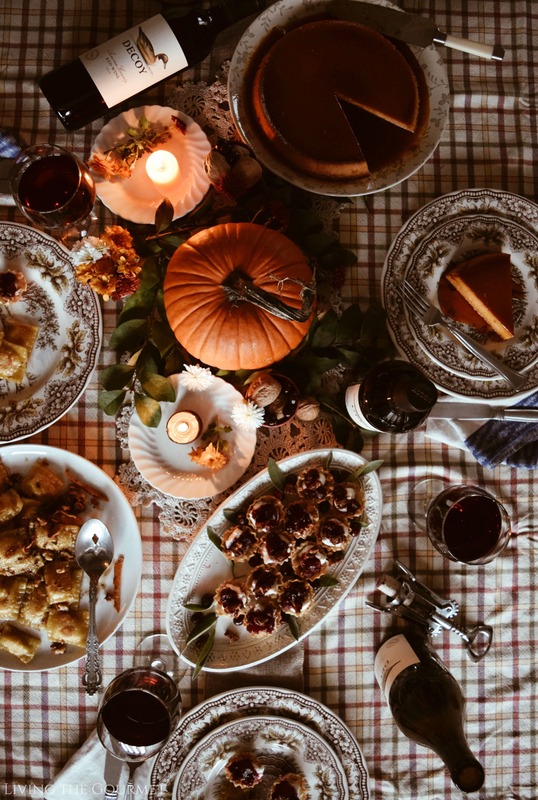 What a lovely looking Thanksgiving meal, that caramel pumpkin flan looks utterly delicious. That is a perfect fall meal. I love Thanksgiving and Christmas dinners. All the warm and hearty flavors of fall. Never tried Docoy wines but now they are on my list of must-try. Ooh these all look so yummy! I'd love to try the ravioli! Thanks for sharing! What a great array of recipes! I am flipping for the pumpkin sage ravioli! I have pumpkins in the slow cooker right now. Ravioli will be made tomorrow! You made everything look and sound so wonderful. I want my Thanksgiving to be like this one every year. I love having various wines to compliment my meals. They can make any celebration so special. Great choices! Oh wow, what a treat this is. I've never had pumpkin ravioli but imagine with the wine it's a match made in heaven! I wouldn't know where to start!! Everything looks delicious but I think your ravioli stole my heart. They look so good and I love the touch of orange with sage. I'm pinning this recipe -- I've GOT to make it. The food looks yummy! To bad, that we are not celebrating Thanksgiving in my country! Your spread looks absolutely delightful! I love how you took flavors that are so warm, comforting, and very "fall" and gave them a fresh new place at the Thanksgiving table! oh, my! I'm drooling right now, that flan looks really good. Food tastes better with wine! Thanks for sharing! Those Filo bites look amazing. The crust is perfect and the filling sounds delicious. Thanks for sharing. 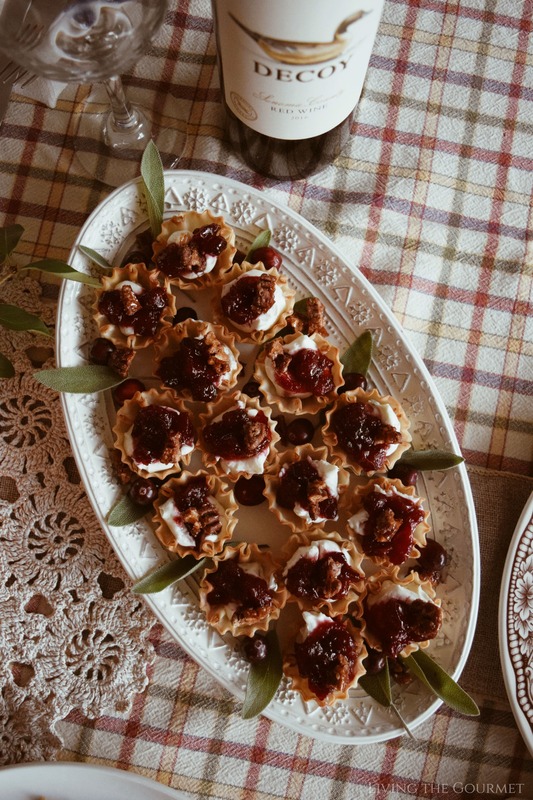 What beautiful, flavorful thanksgiving recipes! And thanks so much for putting Decoy wines on my radar. I'm not a huge fan of the sweetness of pumpkin ravioli, but my husband loves it. We went to a local restaurant the other day and they were sampling this and he fell in love. Maybe if I tried again, the second time will do the trick. Wow, I love everything about. The table setting is so beautiful and the food looks really delicious. I sure do love a good Pinot Noir so I will have to grab a bottle of Decoy! Pumpkin ravioli is also my favorite! I love changing and tweaking things! The best tradition is the one YOU start! Unfortunately, I'm not a very creative cook, so I will be just copying your recipe, haha. I will also be taking your suggestion for the wine, because I don't drink enough to know the difference but I want my guests to have the best! Gourmet foods are always amazing with the right wine. Your pastries look so amazing! I love the holidays because the festive days are a great excuse to make yummy food. So...do you ever think about opening your home up to your readers? lol. I promise i won't touch anything. I'll just EAT! this looks fantastic! I love a good pairing of wine and food. Most meals I just drink what I like and forget the rules. Pumpkin ravioli sounds amazing and a little wine only makes it better! It looks like it was an amazing meal! These photos are gorgeous! 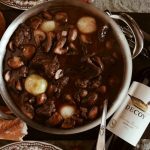 This recipe looks so amazing and that wine looks absolutely delicious!